Pure glutamine potent anti-catabolic and pro-health. Thanks suplementowi you keep a positive nitrogen balance. Fast recovery and a higher resistance to infection are just a few benefits of using this product! 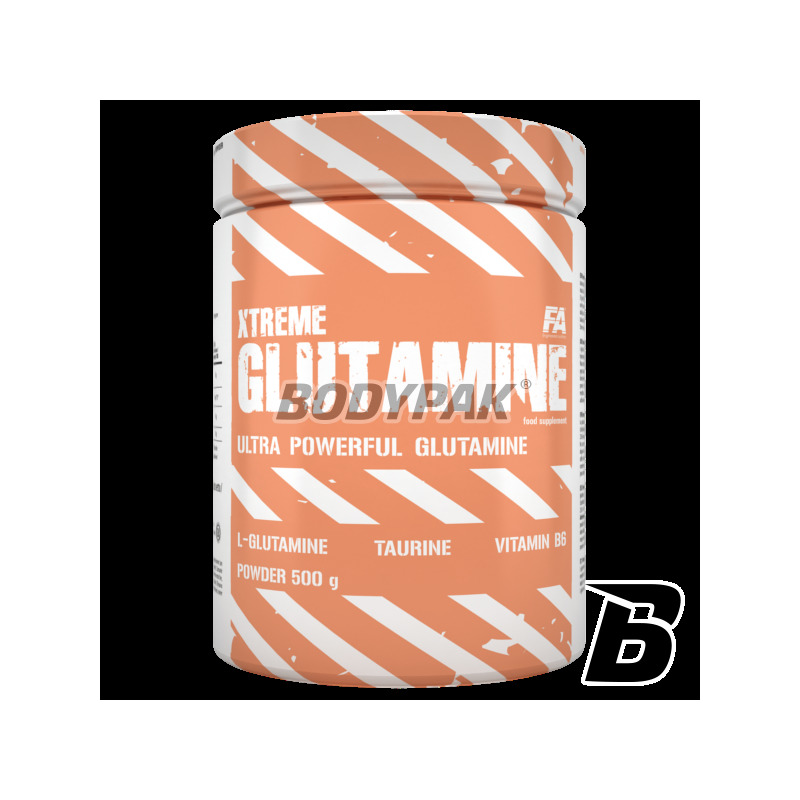 FA Nutrition Xtreme Glutamine - 125 tabl. 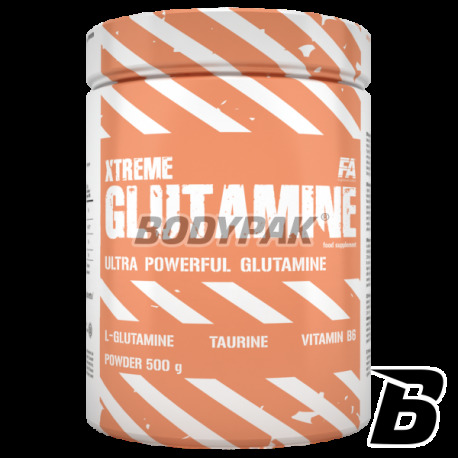 FA Nutrition Xtreme Glutamine - 250 tabl. Completely safe and effective supplementation must be based on the highest quality glutamine! There is no way that your body was able to give it 100% if you do not take care of the basics. Many people criticize glutamine for one simple reason - they do not know its real action and / or use inappropriate dosage. FA XTREME GLUTAMINE® is the best product of its kind on the market, which was already appreciated by many professionals and amateurs of different types of sports. Glutamine is a natural substance supporting protein synthesis in the muscles and the continued positive nitrogen balance throughout the body. It is one of the most important amino acids for muscle because it makes up 60% of the pool of all amino acids that build muscles man. FA XTREME GLUTAMINE® is an advanced product that provides high-quality, pure glutamine. Glutamine is the most common amino acid in the human body responsible for maintaining a positive nitrogen balance in muscle protein synthesis, hepatic glucose output, an increase in natural immunity. This amino acid is a precursor of glutathione - the compound responsible for the neutralization and removal of undesirable oxidizing compounds or free radicals. During intensive training sessions human body destroys muscle protein to release necessary for protection against oxidizing agents glutamine. Such a situation is very unfavorable for those who want to build muscle mass of athletes and therefore glutamine supplementation for them is very rewarding and the most desirable, because the body will use the provided additional glutamine and muscles remain untouched. Glutamine is the basic nitrogen storage and carrier in the body. Directly provides nitrogen to the muscle cells, where it is built into amino acids which stimulates anabolic processes. Glutamine, contained in the FA XTREME GLUTAMINE® is recommended and used to build lean muscle mass which is undoubtedly a breakthrough in sports supplementation. FA XTREME GLUTAMINE® contains the most concentrated source of the amino acid efficiently, which helps ensure optimal muscle growth, enhance their strength and help rebuild muscle. The product XTREME GLUTAMINE® should be incorporated into the daily diet of all persons with increased physical activity and mental health, as preventive protection of the body during increased risk for flu or a cold. FA XTREME GLUTAMINE® protects the body protecting it from the damaging effects of free radicals and lowering of the natural resistance after intensive physical and mental. XTREME GLUTAMINE® product is currently available in two different forms: powder and tablets. From now on, everyone can choose for themselves more desirable and convenient form of use of this unique supplement. Składniki: L-glutamina, tauryna, witamina B6 (chlorowodorek pirydoksyny).